Home Society I'll see you in health, cont. I'll see you in health, cont. While the government is busy pressuring private clinics by enforcing price conrtrols on their services and forcing them to register, the situation in our public hospitals remains dire. 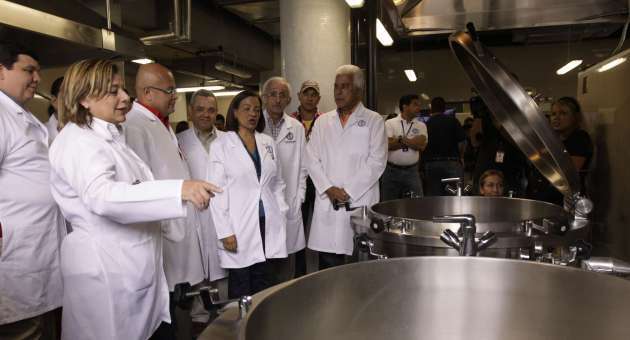 Last week, the nutrition department of the José Gregorio Hernández Hospital in Caracas suspended all food services for its patients until further notice, justified by an alleged lack of supplies. The hospital board quickly announced a new agreement with Mercal to supply the three daily meals for all patients. Wait, Mercal? Why a supermarket chain and not the Health Ministry directly? Why not using another hospital’s kitchen to provide the food instead? Meanwhile, some of the patients have already complained about the quality of the food they’re getting. But this is not the only problems inside public hospitals: From ordinary people forced to bring their own medical supplies to the lack of security for doctors and other personnel.